1) What is the best type of grain used in brewing beer? Barley. 2) What species of fish are also known as kippers? Herring. 3) Name the French region famed for making claret. Bordeaux. 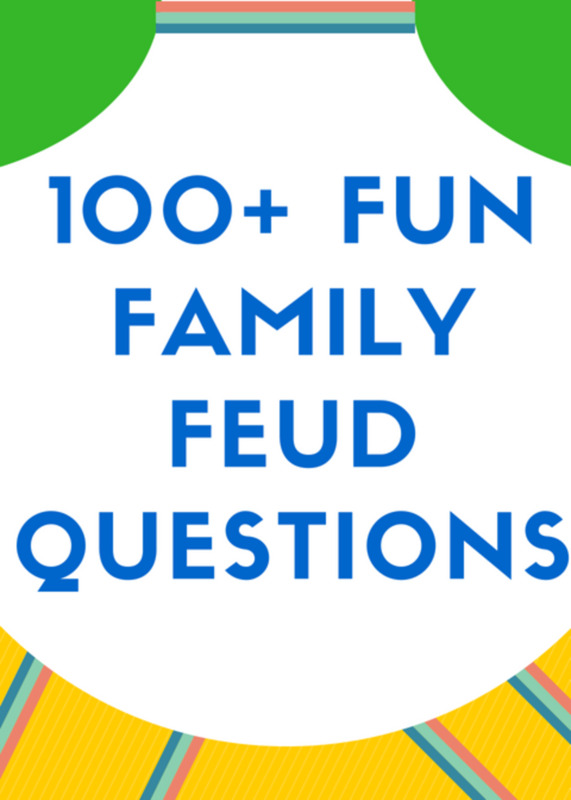 4) How many British monarchs have there been since 1900? Six. 5) The Scottish Grand National is held at which racecourse? Ayr. 6) Made from soya, TVP is an acronym for what? Textured vegetable protein. 7) Harlequin loved which pantomime character? Columbine. 8) Name the pop group who reached Number One in the UK music charts in 1972 with "Son Of My Father". Chicory Tip. 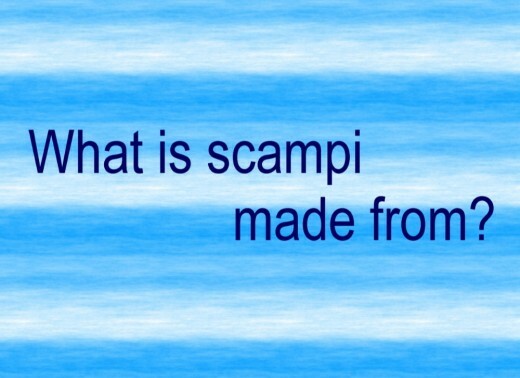 9) What is scampi made from? Prawns. 10) In place of milk, what is added to Russian tea? A slice of lemon. 11) What distinctive feature does a Man cat have? It has no tail. 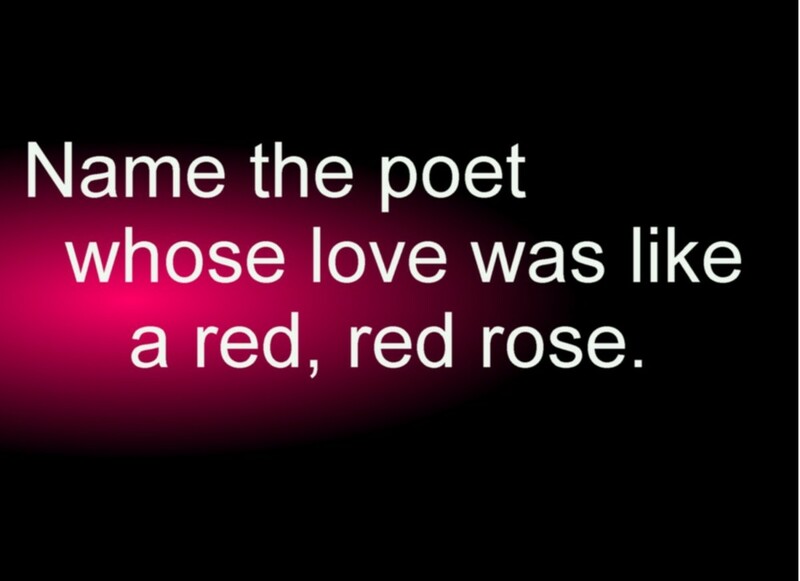 12) Name the poet whose love was like a red, red rose. Robert "Robbie" Burns. 13) The national holiday of Waitangi Day is held in which country? New Zealand. 14) Who employed Jeeves in the PG Wodehouse novels? Bertie Wooster. 15) What type of music is Kentucky, in America, known for? Bluegrass. 16) Who wrote "Cat on a Hot Tin Roof"? Tennessee Williams. 17) Which animal has the most mentions in the Bible? Sheep. 18) Who wrote "Mack the Knife"? Kurt Weill and Bertolt Brecht. 19) Name the city previously known as Byzantium and Constantinople. Istanbul. 20) The vernal equinox heralds the start of which season in the northern hemisphere? Spring. 21) Donatello and Michelangelo both sculpted which Israeli king? David. 22) Which building in London, England, lies at precisely 0 degrees longitude? Greenwich Observatory. 23) Horseshoe Falls and Rainbow Falls make up which large waterfall? Niagara Falls. 24) Name the film which starred Faye Dunaway and Mickey Rourke, and which was written by Charles Bukovski. Barfly. 25) Name the first land which Gulliver visited on his travels. Lilliput. 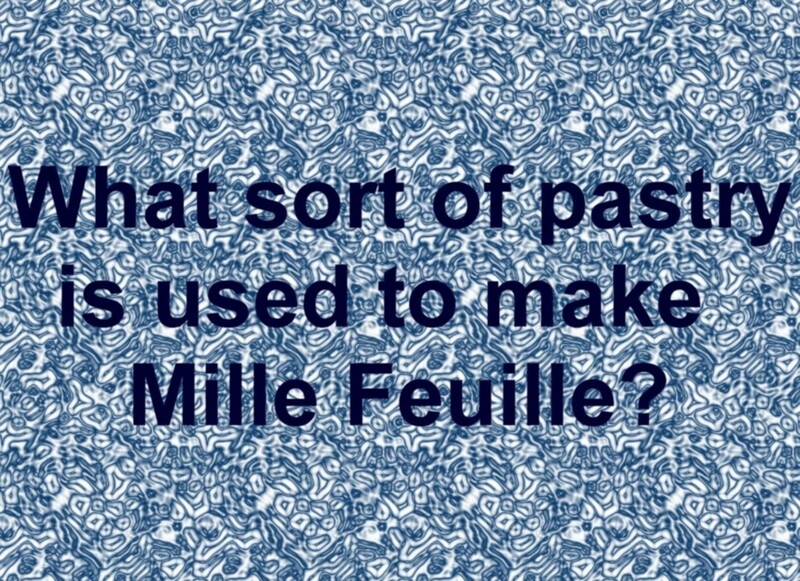 26) What sort of pastry is used to make Mille Feuille? Flaky. 27) What was Dennis the Menace's dog called? Gnasher. 28) Which four countries engaged in the Six Day War? Israel, Egypt, Jordan and Syria. 29) Which American president was the first to appear on TV? Franklin Roosevelt. 30) For a second point, in which year did Roosevelt first appear on TV? 1939. 31) Name the popular accompaniment to dinner which was developed from the Paisley textile trade. Bisto gravy. 32) How many times was Charles de Gaulle president of France? Two. 33) Paul Weller, Rick Buckler and Bruce Foxton were all members of which 1970s band? The Jam. 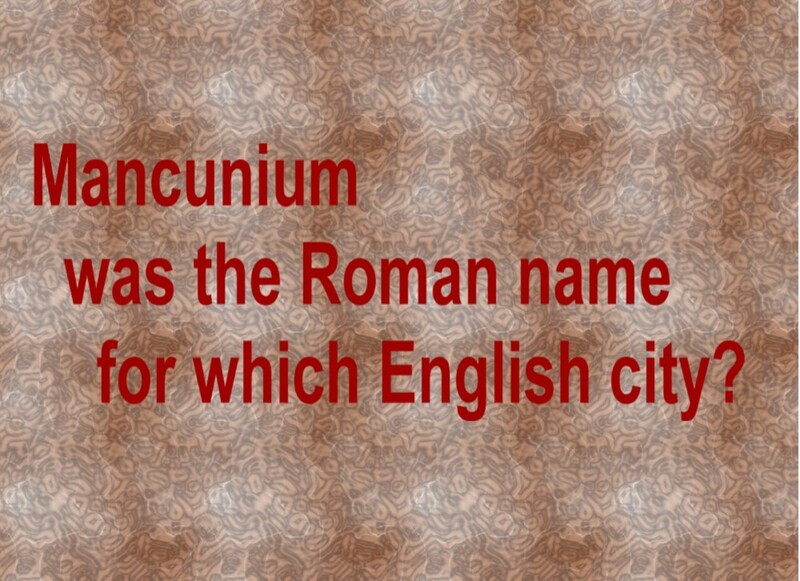 34) Mancunium was the Roman name for which English city? Manchester. 35) Which sporting event was held in Manchester in 2002? Commonwealth Games. 36) What famous festival takes place on Pancake Tuesday in New Orleans? Mardi Gras. 37) On a London Underground map, which line is coloured grey? Jubilee. 38) In Arthur Miller's play, "Death of a Salesman", what role did Willy Loman play? The salesman. 39) Name the singer of "Donald Where's Yer Troosers". Andy Stewart. 40) The Falklands War took place in which year? 1982. 41) How many teeth should an adult human have? Thirty-two. 42) Name the British TV show about the activities of the United Network Command for Law and Order. The Man from U.N.C.L.E. 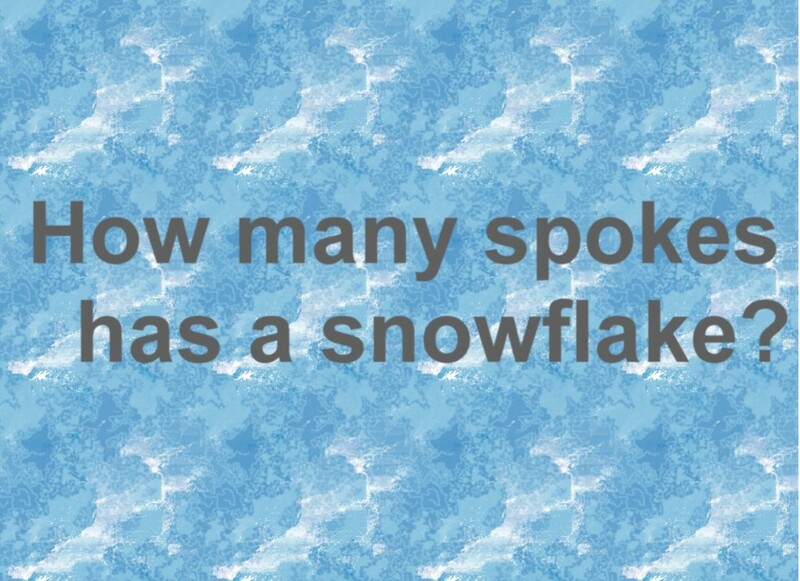 43) How many spokes has a snowflake? Six. 44) Name the smallest constellation in our galaxy. The Southern Cross. 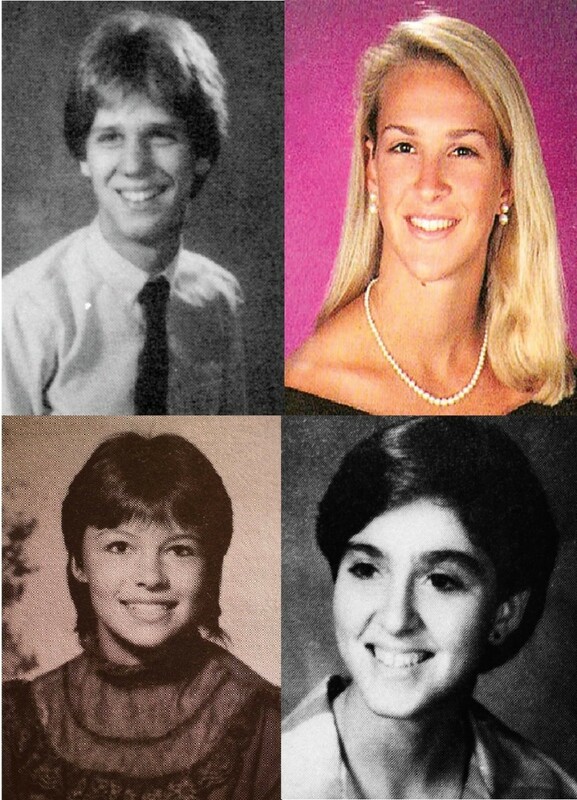 45) Which singer-songwriter sang "I'll have to say I love you in a song"? Jim Croce. 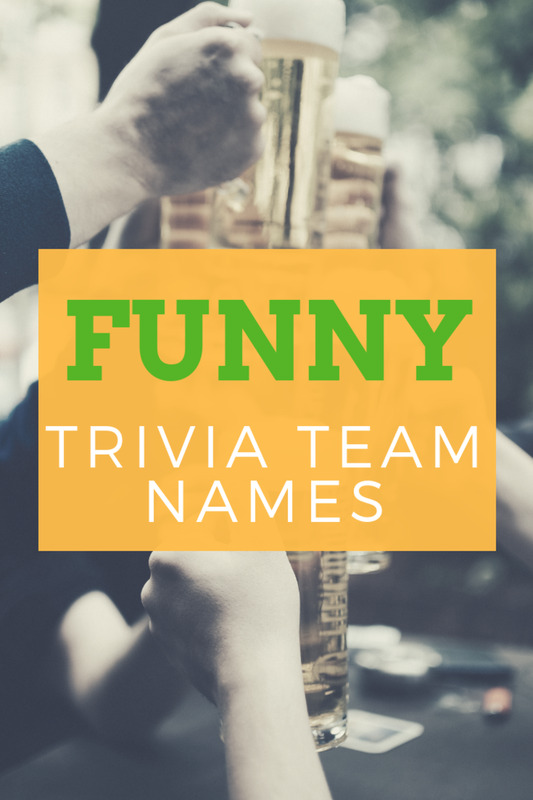 46) Which hotel was named after the founder of Singapore? Raffles. 47) What type of pastry is used for making eclairs? Choux. 48) Samuel Pepys' diaries cover which decade of British history? 1660's. 49) Which classic Christmas film claimed that "Every time a bell rings, an angel gets its wings"? It's a Wonderful Life. 50) For a second point, who played the part of George Bailey in "It's a Wonderful Life"? James Stewart. 51) Are pandas a species of bear? No. 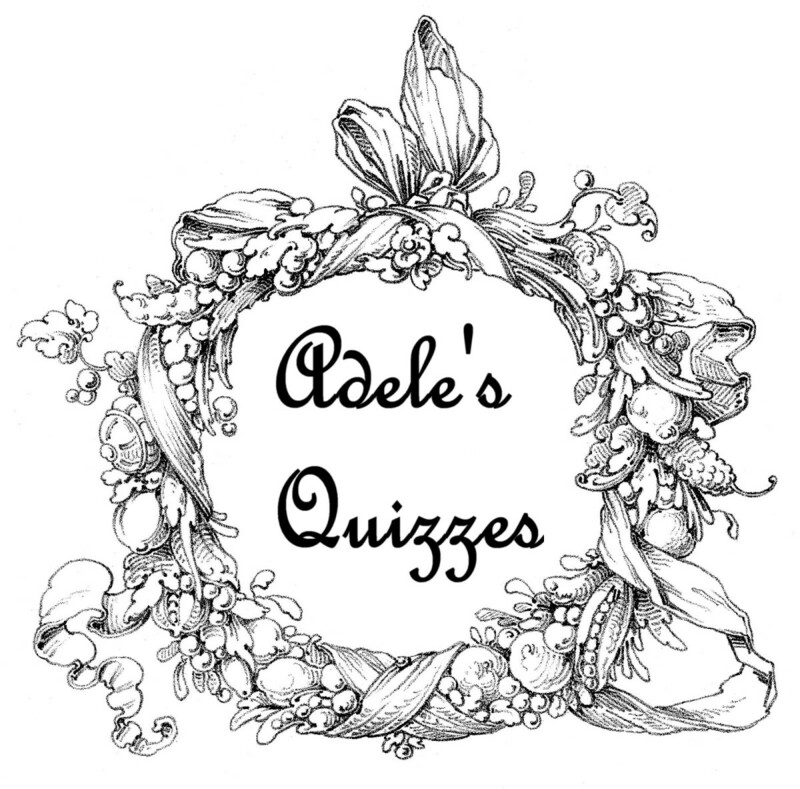 52) "The Album", "Arrival" and "The Visitors" were by which famous pop group? ABBA. 53) Which 1970's punk band sang "Identity", "Warrior in Woolworths" and "The Day the World Turned Dayglo"? X-ray Spex. 54) Name the Danish writer who created "The Ugly Ducking". Has Christian Andersen. 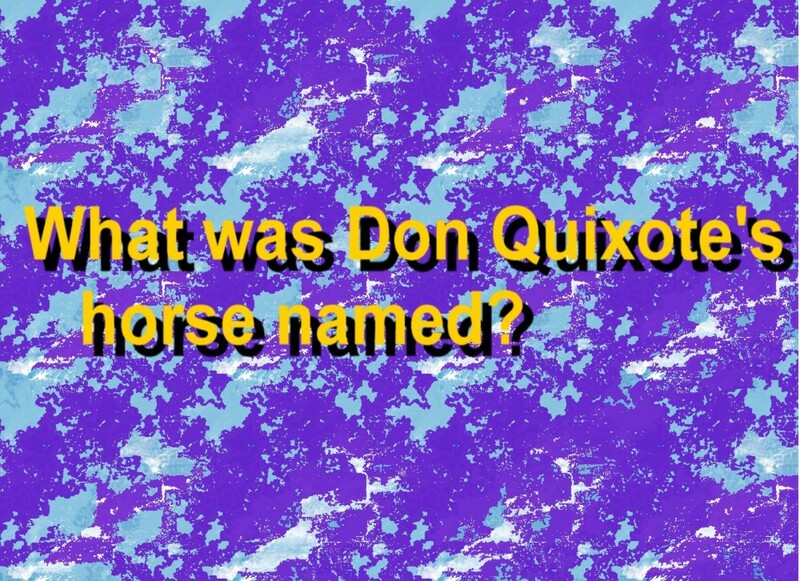 55) What was Don Quixote's horse named? Rosinante. 56) Who said he could resist everything but temptation? Oscar Wilde. 57) What topping would you expect to find on creme brulee? Caramelised sugar. 58) Name the manufacturer of the Anglia car. Ford. 59) Who was the insane inhabitant of Thornfield Hall, in the novel "Jane Eyre"? Mrs Rochester. 60) Raith Rovers Football Club is based in which Scottish town? Kirkcaldy. 61) Line dancing is associated with which type of music? Country. 62) In his 1734 essay, what did Alexander Pope claim was the proper study of mankind? Man. 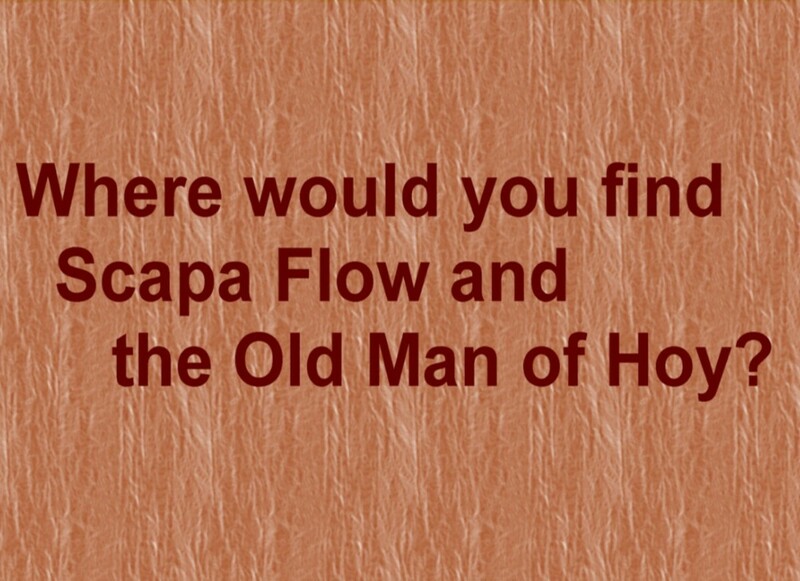 63) Where would you find Scapa Flow and the Old Man of Hoy? Orkney Islands. 64) Name the only Number One chart hit by The Troggs. With a Girl Like You. 65) "A Clockwork Orange" was written by who? Anthony Burgess. 66) What item is St Peter traditionally depicted as holding? A set of keys. 67) In what year was the Tour de France first held? 1903. 68) What is a xylophone made from? Wood. 69) Name the animal made famous in an Australian TV series from the 1960's. Skippy (kangaroo). 70) How would a test match cricketer qualify for the primary club? By being out on first ball. 71) Which country has frequently won world-class chess tournaments? Russia. 72) In the language of flowers, what is conveyed by yellow roses? Remembrance. 73) What type of plastic resin was Leo Baekeland known for inventing? Bakelite. 74) Following the Vietnam war, what was Saigon renamed as? Ho Chi Minh City. 75) As well as his music and acting, what other from of creativity was David Bowie known to enjoy? Painting. 76) What does the acronym "WYSIWYG" mean? What you see is what you get. 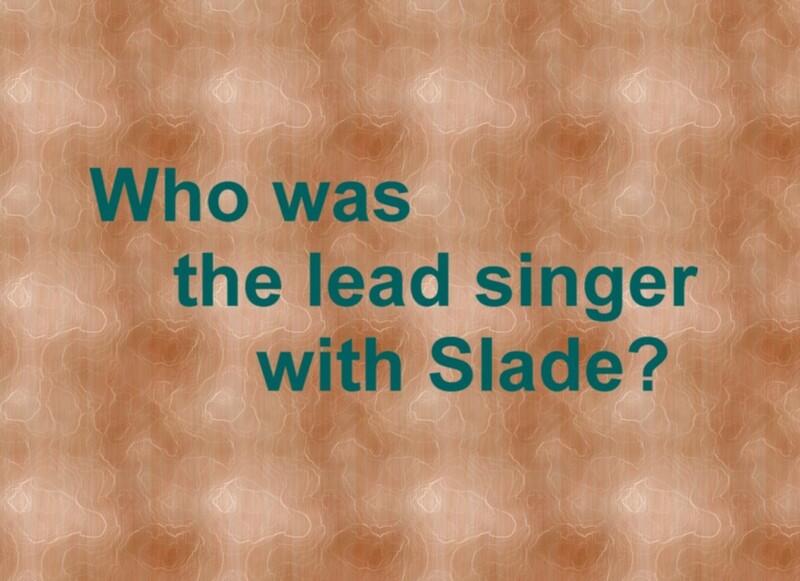 77) Who was the lead singer with Slade? Noddy Holder. 78) Name the famous American actress who was married to Orson Wells from 1943 to 1947. Rita Hayworth. 79) The ancient Aztecs used what as currency? Cocoa beans. 80) In 1970, Lester Piggot won the Derby with which horse? Nijinsky. 81) Name the Italian satirist who wrote, among other plays, "Can't Pay, Won't Pay". Dario Fo. 82) During Margaret Thatcher's time, "Can't Pay, Won't Pay" was a slogan used by protesters against what? Poll Tax. 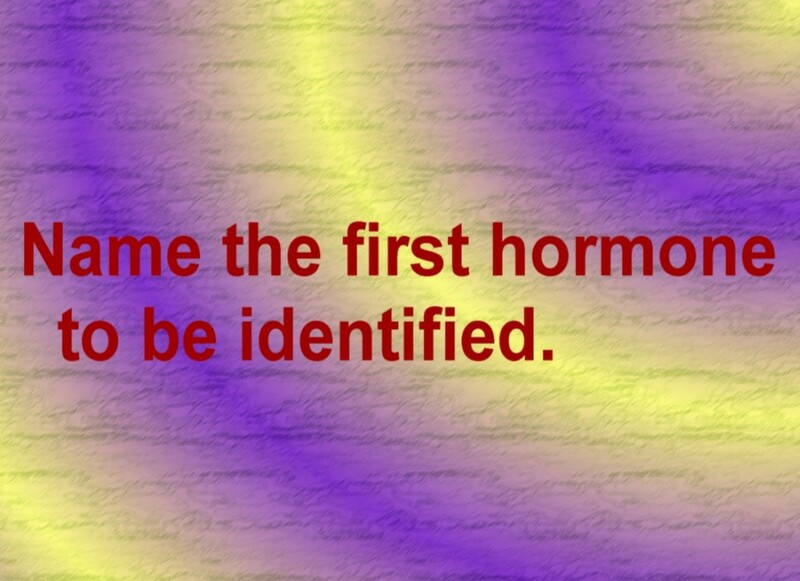 83) Name the first hormone to be identified. Adrenalin. 84) Other than rice, what is the main ingredient of kedgeree? Fish. 85) "Pygmalion" was the inspiration behind which silver screen musical? My Fair Lady. 86) What activity was St Vitus alleged to be the patron saint of? Dancing. 87) Name the city in which the first modern Olympic Games were held. Athens. 88) For another point, what year were the first modern Olympic Games held? 1896. 89) What was the first antibiotic used in medicine? Penicillin. 90) What is the largest organ of the human body? Skin. 91) In Britain, who were described as "overpaid, oversexed and over here"? American troops. 92) In the lawn game of croquet, how many hoops are used? Six. 93) What pain-relieving medicine is made from willow bark? Asprin. 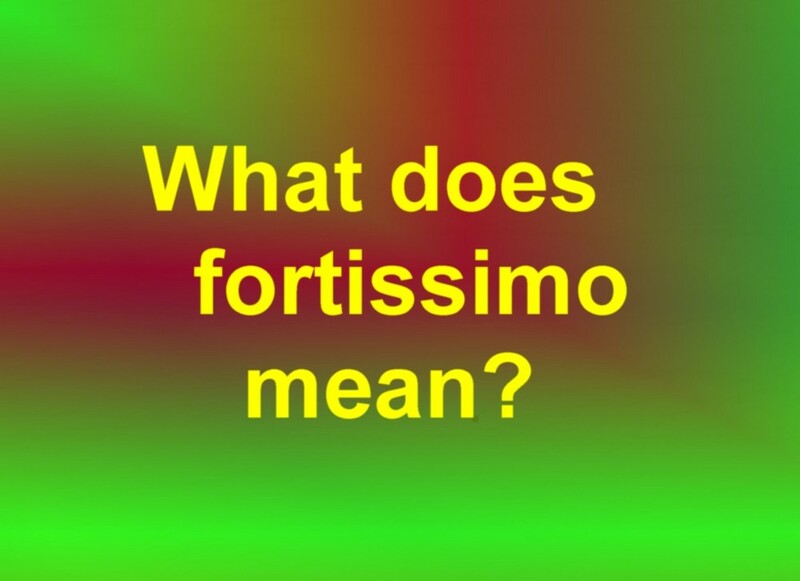 94) In music, what does the term "fortissimo" mean? Very loud. 95) What was the title held by Irish soldier and statesman Arthur Wellesley? Duke of Wellington. 96) Name the intended destination in the film "Ice Cold in Alex". Alexandria. 97) Caviar derives from which species of fish? Sturgeon. 98) What do virology students study? Viruses. 99) Name the Amerian who became president of Ireland. Eamon de Valera. 100) How many points is "Q" worth in a game of Scrabble? Ten. I found it too difficult. 3 months ago from Wirral, Cheshire, England. You're absolutely right. I've corrected that now. Thank you! Question 50) Is stated incorrectly. Yes, the actor James Stewart played the part of George Bailey not James Bailey in the movie, "It's A Wonderful Life".